Status: Control and eradication measures are underway while commercial interruptions have been minimized to those required to support eradication technologies. Key supporting coalition and opposition stakeholders have been identified. A pathway to issue equilibrium has been established based on keeping key stakeholders engaged in the issue. Issue: For a variety of reasons, government agencies permitted several Asian carp species to enter the US. The beneficial opportunities didn’t develop but carp escaped from the designated testing areas. Species become invasive because of absence of predators, abundant food and other vectors. The carp soon occupied large areas of the Mississippi River and its tributaries. 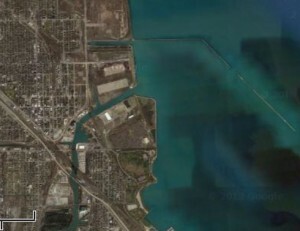 This included the Illinois River, which has a man-made connection to the Great Lakes, via Lake Michigan at Chicago. This link supports a multi-billion dollar freight network. The prospect of these fish in the Lakes (home of a multi-billion dollar sport fishing industry) justifiably created a regional uproar; the prevention and mitigation steps proposed by various stakeholders ran the gamut from reasonable to irrational. The freight industry took the position of seeking to slow or eradicate the carp while maintaining commerce. We took leadership positions in strategic planning that supports commerce while stopping the invasive carp. Channel Design Group led issue analysis employing game theory and other modeling techniques. In support of policy positions of his freight company, we reached out to mainstream conservation groups in order to support coalition alignments. These groups delivered insights that strengthened the case of preserving commercial marine traffic.